28.09.2011. Just four months after donating 160,000 euros for earthquake victims in Japan, the Friedhelm Loh Group has given a further 260,000 euros to various aid organisations. This time round, the money is intended for people affected by the famine in East Africa. Employees donated more than 79,000 euros. Friedhelm Loh, owner and Chairman of the group of companies headquartered in the German town of Haiger, increased this amount to 160,000 euros and added a further 100,000 euros to mark Rittal's 50th anniversary. Caritas International, Diakonie Katastrophenhilfe, Humedica, Diguna, World Vision, Médecins sans Frontières and Kindernothilfe each received a share of the money. In response to the famine affecting more than 13 million people in the Horn of Africa, employees of the Friedhelm Loh Group have once again demonstrated their generosity. By donating more than a quarter of a million euros, they and the group's owner and Chairman Friedhelm Loh are helping to support people in East Africa who do not have enough to eat as a result of civil war and the prolonged drought in the region. The affected areas have not had any rain for months, nor is any expected before October, and there will not be another harvest until early 2012. The Friedhelm Loh Group has a long tradition of donating to charity. Both the group's staff and its owner are aware of their social responsibility. Over the past decade alone, they have donated more than 2.5 million euros to social and cultural institutions. "Iwas delighted that, once again, it was the workforce who initiated the campaign and asked to raise money for the starving people in the Horn of Africa", said Friedhelm Loh, owner of the Friedhelm Loh Group. "It shows me that they are aware of their responsibility towards those in need and actively integrate values such as charity into their everyday lives", he added. The work of aid organisations in East Africa is not restricted to first aid, but is geared to sustainability. In addition to distributing drinking water, water purification tablets and food, the projects of Caritas International, for example, are aimed at preparing the local population for the frequent droughts in the region. Financial support is being provided to build dams and wells that will enable a water supply network to be created in the long term. 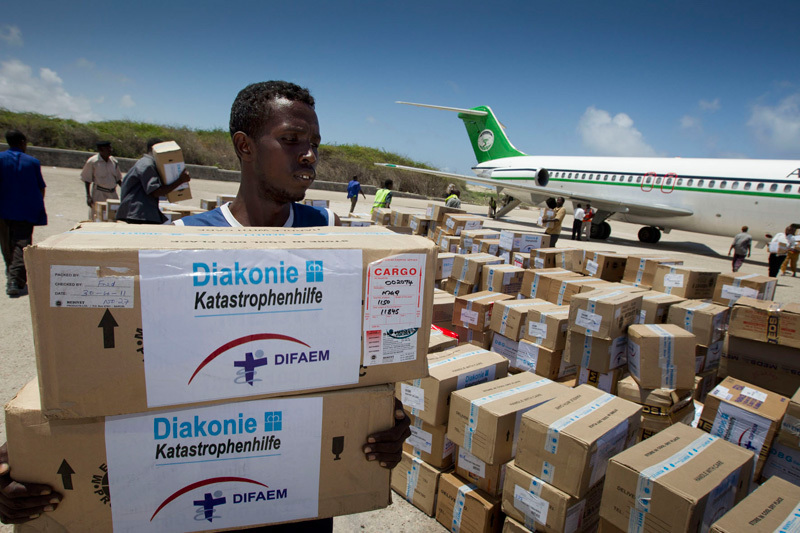 To date, Diakonie Katastrophenhilfe has provided more than 6.7 million euros of aid for the victims of the severe drought in East Africa. It was able to do so thanks to donations such as the one from the Friedhelm Loh Group. By distributing animal feed, medicines and water, the organisation is helping people ensure their herds of cattle survive the drought. Water storage facilities and pools are also being created to make it easier to cope with dry periods in the future. Humedica has been active in Ethiopia for years and has built up a comprehensive local infrastructure with an office, staff and vehicles. Humedica's team of doctors works closely with local medical staff at the Melkadida refugee camp, helping the refugees in need of medical care. At the Dadaab refugee camp, which is home to more than 400,000 people, the international children's aid organisation World Vision is putting up 5,000 tents financed through a number of donations. Besides the tents, the aid organisation has provided emergency aid packages comprising blankets, mosquito nets, buckets, cooking utensils and hygiene products. Médecins sans Frontières has been working in Somalia since 1991. 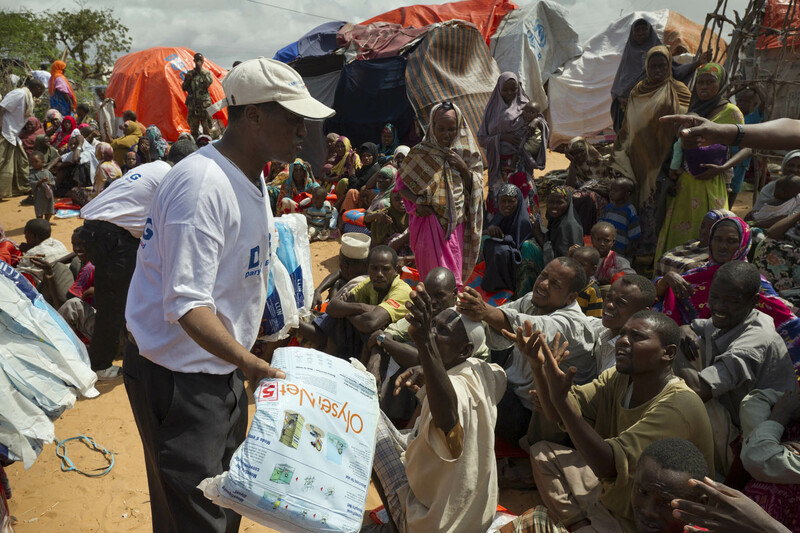 More than 1,400 Somali staff and around 100 employees based in Nairobi provide basic medical supplies, treat malnutrition, perform operations and distribute aid and drinking water. Teams from Médecins sans Frontières battle measles and acute malnutrition in the Somali capital Mogadishu. The organisation has built two nutrition centres that can treat a total of 145 children. A number of mobile teams have set up mobile nutrition centres to treat severely malnourished children. The Haiger-based aid organisation Diguna has twelve projects in East Africa, including orphanages and children's homes. It also distributes aid locally. In cooperation with Humedica, the organisation is helping families by supplying them with items such as beans, cooking oil and maize. 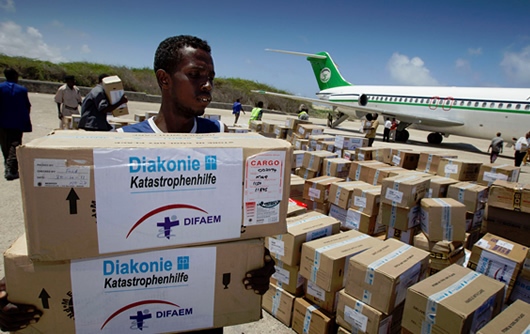 Kindernothilfe works in Somalia with the International Aid Service (IAS), a local organisation. Together, they have built water tanks at the refugee camps in Mogadishu and they also distribute food, water containers and other aid. Tankers bring water to the people living in the camps. In addition, four child protection centres have been set up at refugee camps in Mogadishu. They provide a total of 200 boys and girls with food and psychosocial support. Reproduction free of charge. Please specify "Rittal GmbH & Co. KG" as source. Please send us a reference copy.